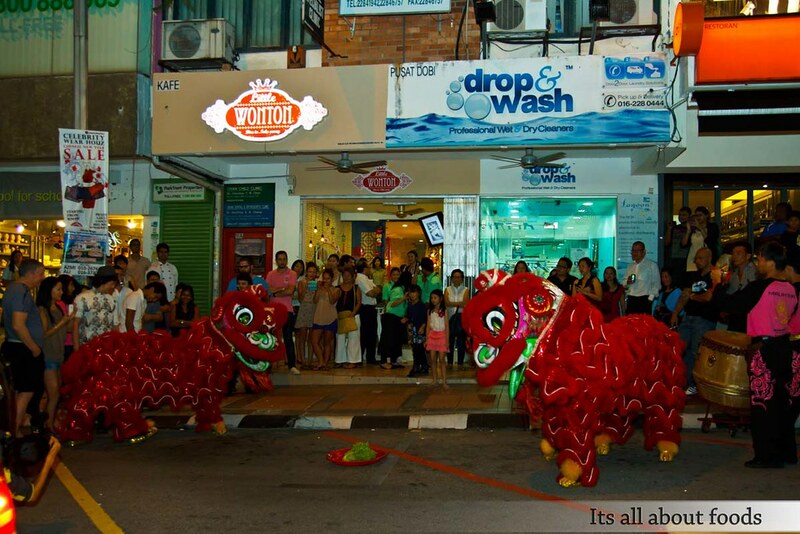 Located two doors away from NOSH, Little Wontons in Bangsar is yet another new place to discover. 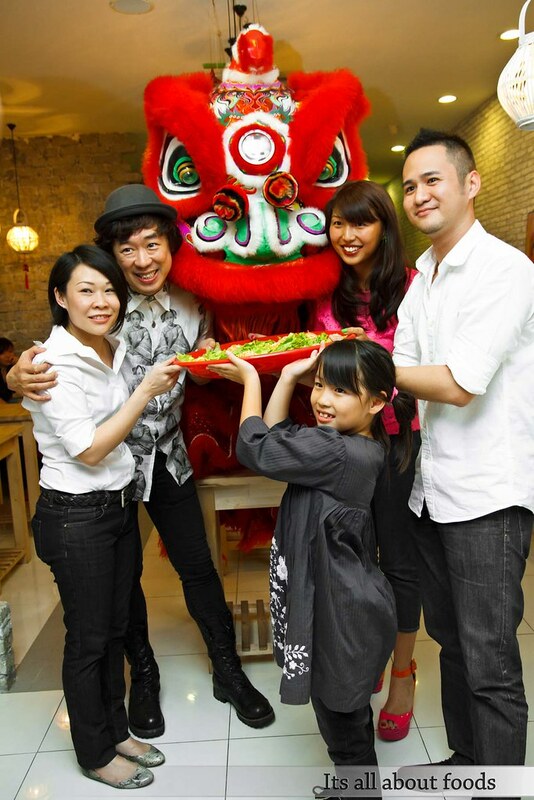 Small, trendy, dressed in green with oriental decorations, you may be curious at what this little shop got to offer. Asian delights? No. Chinese cuisine? No. 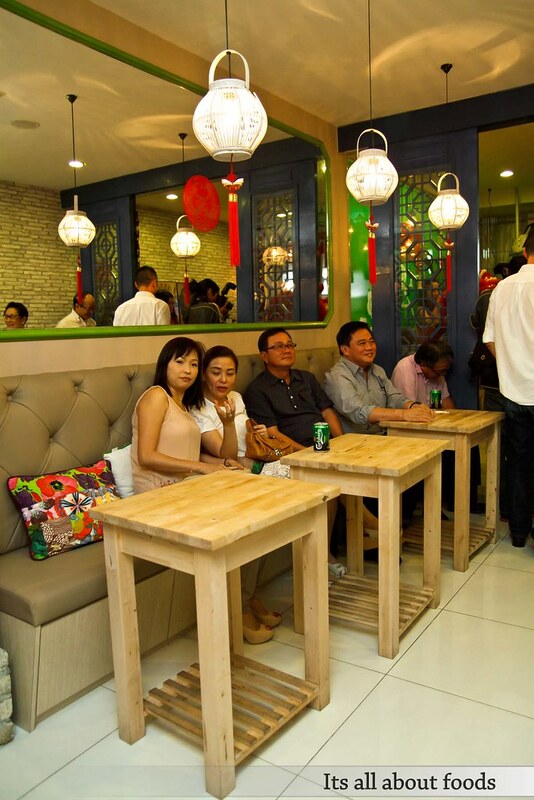 Local Nyonya food? No. Answer is, wontons. 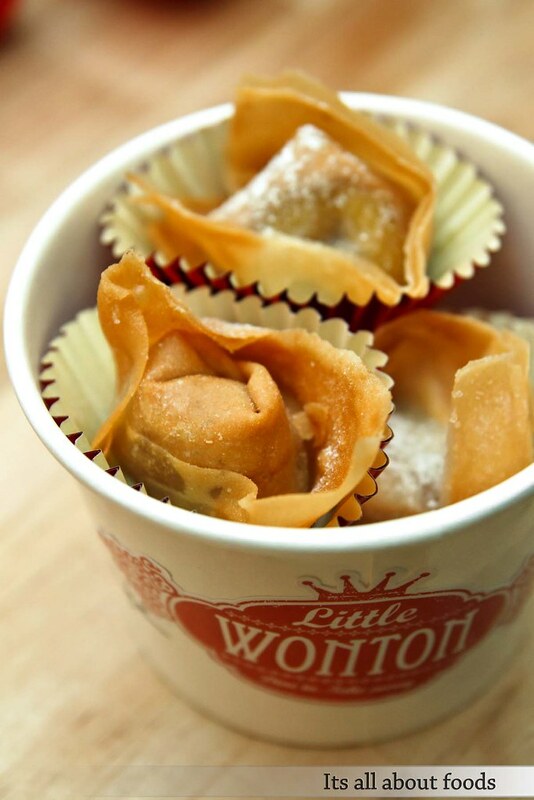 Yes, Little Wontons specializes in wonton, both savoury and sweet wontons that come in a twist. 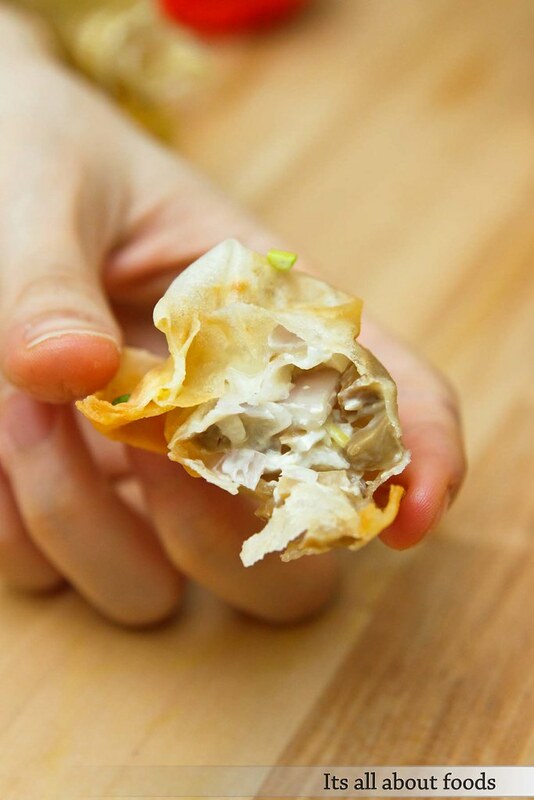 More than 20 of unique flavours to choose from, you have a reason to forgo your wonton noodles with meat fillings wonton once a while and drop by for a bite on their wonderful flavours. 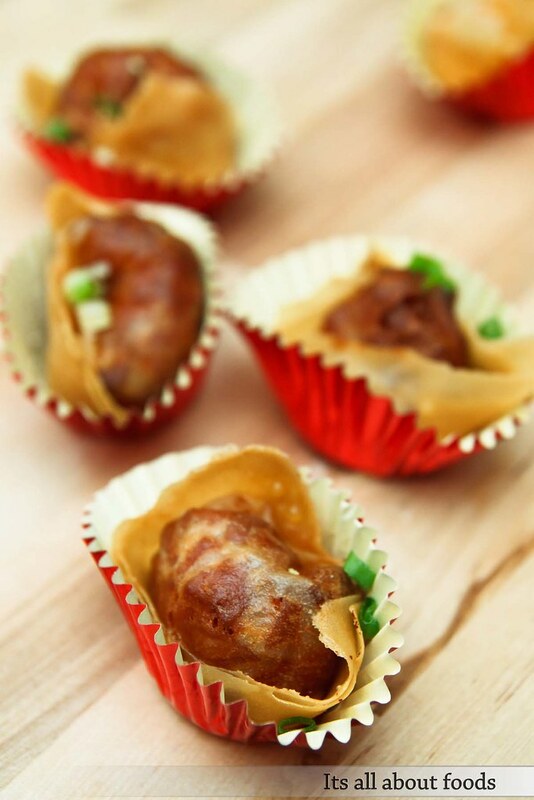 Each ala carte wonton order comes in half a dozen for RM7.90. Or you can pick the set menu which comes with a choice of wonton + Ice lemon tea/peach tea/hot tea, priced at RM12.00. If you were in hungry state, then you can go for another set menu which offers a choice of wontons + choice of charcoal noodles + ice lemon tea/peach tea/hot tea. 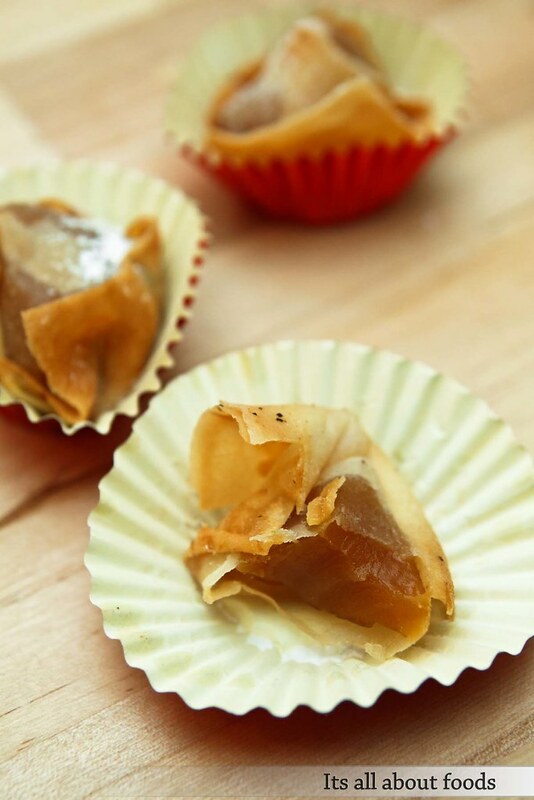 Tuck into each wonton, you will be satisfy with the ingredients brimming filling, fresh and pipping hot with crackling cripiness. Among all, we like the mushroom + onion + cream cheese flavour the most. Cheesy and creamy, very much like takoyaki filling. 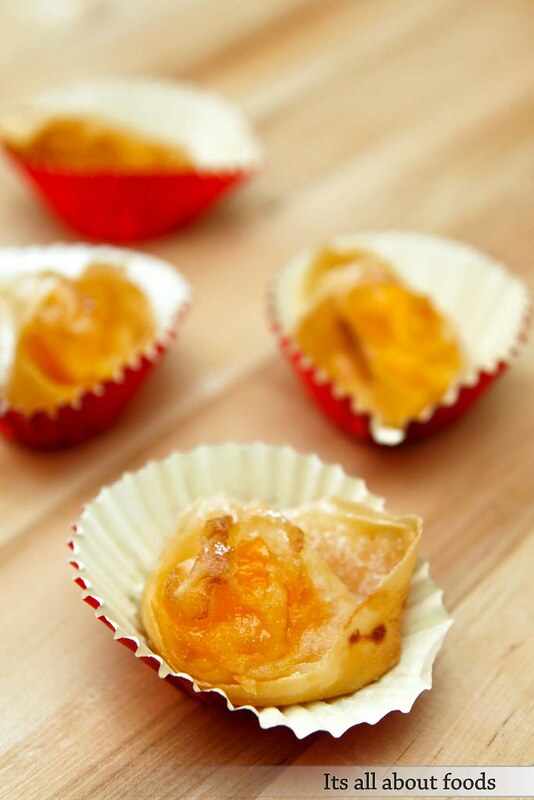 Other than savoury wontons, you will be surprise with the sweet wontons they got to offer, creative enough to make you let go of the usual cakes, tarts, jellys, and pastries. Banana chocolate, banana peanut butter, peach, lychee & pineapple, kaya banana, mango, lotus paste, sweet corn, apple cinnamon. Which one do you like? We do like the banana peanut butter and peach flavour the most. Being the former performs creamy and nutty flavours while the later is on the juicy side but pairs well with the crispy wonton. Lotus paste flavour is not bad too, but the filling is too generous and doesn’t make up a balance with the wontons. We do agree that for some flavour, more doesn’t mean better. Anticapate for something special other than those playful flavours wonton? 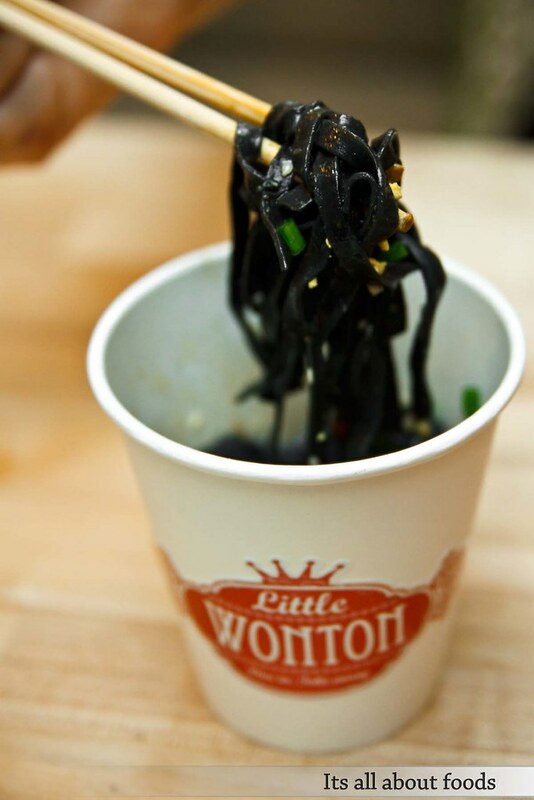 They have- Wonton’s special charcoal noodles priced at only RM4.90 per serving. These black colour flat charcoal noodles work great for blood cleansing, relieve heartburn, gas & irritate ulcers, improve appetite, stimulate digestion, reduce uric acid levels, etc. Along with the benefits, Little Wonton makes them tastes superb by tossing with extraordinary flavours such as roasted sesame with corn, vinegar garlic with lychee, curry with pineapple, ginger peanut butter with peach, spicy thai sauce with fish cake and soup with tofu. Sounds unusual, but somehow the chemical reaction between them turn sucessful. 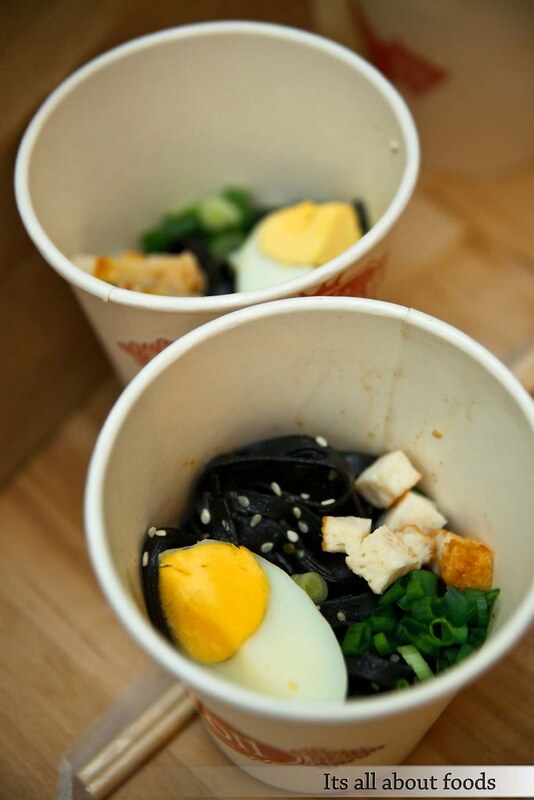 Vinegar garlic with lychee flavour charcoal noodles are good. Brand new noodles flavour that is tangy, sourish with a twist of sweetness and aroma from lychee. 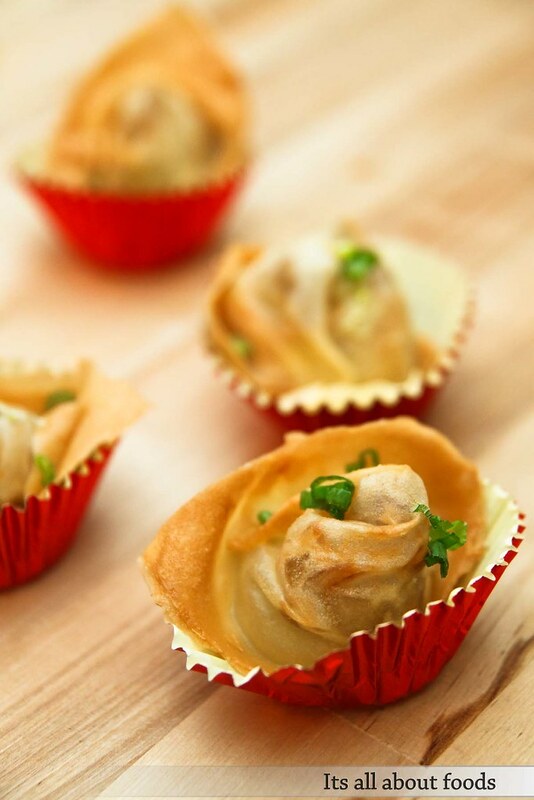 Is time to get your Egg + Apple + Mayonaise flavour wontons and tell your friends how playful they taste, don’t you? was looking for places to lunch in bangsar, till I stumble upon your blog. Shall check this out.